Where can you go when it comes time to buy a new car? The only real answer is DePaula Mazda if you want to avoid the typical headache and frustration that comes with buying a new car. We bring years of experience, great products, and quality service to each customer that we help. Whether it’s finding a great new car, exploring our used car inventory, or checking out your service and financing options, our experts know how to tend to your every need and desire. When you come to the DePaula Mazda, you can rest assured you are getting nothing but the finest service available. DePaula Mazda takes pride in our inventory, both new and used. We are confident that we can find the perfect vehicle for any person who steps onto our lot. That is because Mazda knows how to create great Mazda cars. With high safety and fuel ratings, advanced features, and perks you won’t find with any other brand, Mazda is simply one of the best choices to look at when you need a new vehicle. More importantly, DePaula Mazda offers great warranty coverage and service for Mazda specific vehicles. Our technicians have the experience, knowledge, and access to quality replacement parts to keep your vehicle running. When it comes time to start your search for new vehicle, your first stop should be DePaula Mazda. From great brands to our great service, you have nothing to lose and everything to gain by visiting our dealership. With so many automotive brands to choose from these days, it can be difficult to know where to start looking. Perhaps you are loyal to one particular brand or have had a good experience with one, so the question of “why Mazda?” may come up. This is a valid question that can only be answered when looking at the company’s long history of performance and service. The Mazda company dates back well before World War II, starting in Japan. With decades of design and sales experience under the belt, the company knows how to create a great product. Specializing in family or sports cars and SUVs, Mazda bridges the gap between high performance, good fuel efficiency, and advanced technology. In fact, they bring all three of these elements into one package with each of its vehicles. More importantly, the current line is large enough to meet the needs of most customers looking for the unique style Japanese car companies often bring to the table. For performance, you will find a wide variety of options with each model ranging from fuel-efficient four-cylinder engines all the way to more powerful V6 monsters. Additional tweaks like turbochargers can also be coupled with a wide array of drivetrains like rear wheel drive and all-wheel drive. For safety and convenience features, very few companies can match the plethora of options Mazda has to offer. Safety wise, you will find a number of intelligent and automatic safety features such as forward collision prevention, parking sensors, blind side monitoring, and rear cross traffic detection available. Combined with many convenience systems such as a state-of-the-art infotainment system, luxury touches like heated seating and leather accents, and more, you will find driving any Mazda a unique experience. You can take the wheel with a certain peace of mind and comfort you won’t find anywhere else. More than anything else, Mazda cars are built to last. 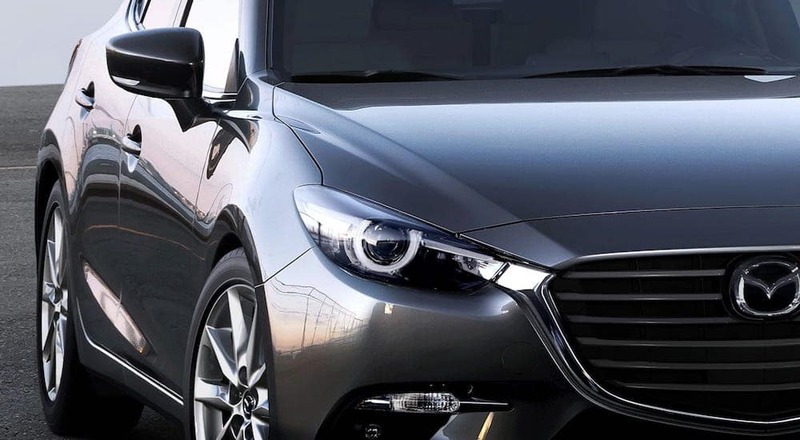 Highly rated for their longevity and easy-to-repair design, Mazda cars use parts that will last years and hundreds of thousands of miles before failing. When issues do arise, qualified technicians know how to get repair work done quickly and efficiently. In fact, it’s hard to beat the certified technicians all Mazda dealerships employ, whether it’s routine service work or emergency repairs that need to be done to keep you driving on the daily commute. More than the high-quality Mazda has to offer, the DePaula Mazda dealership has a philosophy and business model that outshines the competition. Simply put, we believe in treating each customer as a unique and valuable individual. What does that mean exactly? Instead of selling you the usual models and services, we listen to your needs and wants to make sure we can provide everything you specifically ask for. In other words, we won’t waste your time with anything you don’t want to consider. We tailor our service to you so you will get a quality product and experience any time you come onto our lot. This service starts with our extensive new and used inventory. From cars and SUVs, we stock everything Mazda has to offer with a healthy number of current model years available at all times. Should you want something small like the Mazda3, we can go over any number of trim options that will cater to average size families or individuals wanting to have good efficiency, lots of cargo space, and plenty of safety. If your needs are a bit bigger, something like the Mazda6 will be right in your wheelhouse. This midsize car blends the best of passenger and cargo room, fuel economy, and variable performance depending on the trim you select. For some people, however, nothing will do but the most sporty model like the Miata. Cruising around in an open convertible with power at your fingertips is a unique experience that only the Miata can deliver. We keep all these vehicles and more in stock on a daily basis. All you have to do is visit our lot or check out the website to get in touch with one of our qualified, knowledgeable service people to begin the process. We can let you know what options are available on the lot today or what we can order straight from the manufacturer to your exact specifications. When it comes time to make a final purchase, we will have you covered there as well. Perhaps a used model is more to your liking. If so, DePaula Mazda has the inventory for you as well. We carry a healthy number of Mazda pre-owned certified vehicles that are only a few years old, pass our rigorous inspection process, and are well-maintained by our qualified service people. When you buy a pre-owned certified vehicle, you do so with the assurance that it is being held to the same standards as our new vehicles. Better yet, these cars also come with an extended warranty that will keep your new purchase covered after you drive off our lot. At DePaula Mazda, we realize that true customer service is more than just offering great cars. In fact, that is just the tip of the iceberg when you choose us. From start to finish, we are committed to making your experience as easy as possible when it comes time to go over the specifics of your purchase. Before this, however, we listen to all of your needs so we can steer you in the right direction from the beginning. When you come onto our lot, you’ll be greeted with a warm smile and a guiding hand to start a conversation about what you’re looking for. Once our helpful staff has an idea of what you want, they can quickly search our inventory for great possibilities you can check out and test drive anytime you want. When you have found something that speaks to you, our staff will help you through the often confusing process of understanding all the specific terms, fees, and other details that go with buying a new car. This often starts with your financing options. While you may be worried about bad credit or insufficient funds, we have an entire financing department on hand that can explore your payment options with you in an easy-to-understand manner. They will go over your financial history, review your existing credit score, and layout the different payment options you have. Whether it’s an auto loan, lease, or paying outright, you will know all the particular details of buying the car you want before you sign any paperwork. We believe in making sure you have all the information upfront as well. We will take the time to explain the various fees that apply, upgrade options, additional warranties, and coverage options, and more before you make a purchase. Most importantly, our staff is on hand to answer any and all questions you may have without brushing you off. Our service doesn’t stop once you have purchased a vehicle either. Our service department, filled with many qualified technicians and service people, is always on hand to cater to your maintenance and repair needs. You can bring your car in anytime to get work done immediately. These mechanics can diagnose and identify problems ahead of time and get them repaired usually within the same day. If replacement parts are required or more extensive work needs to be done, they will do so as quickly and efficiently as possible. With our service department, the number one priority is your safety and satisfaction. That is why we make sure no car leaves the garage before we are 100% satisfied with its performance and safety capabilities. Whether it is a new or used purchase, you will know your car is ready and safe at a moment’s notice. Now is the time to check out the Mazda cars on our lot. Whether you’re just beginning the process of finding a new vehicle or need one immediately, all you have to do is take the first step to begin your journey with us. Once you step onto our lot, we will take care of all the heavy lifting for you. Come to our lot today to meet one of our fine salespeople to begin discussing what you’re looking for. You can also check out our website to see what is currently in our inventory, specific details about our service and financing departments, or send us an email with your questions. Whether you want to connect online or visit us in person, we eagerly await to help you out. With DePaula Mazda, your satisfaction is our number one priority.